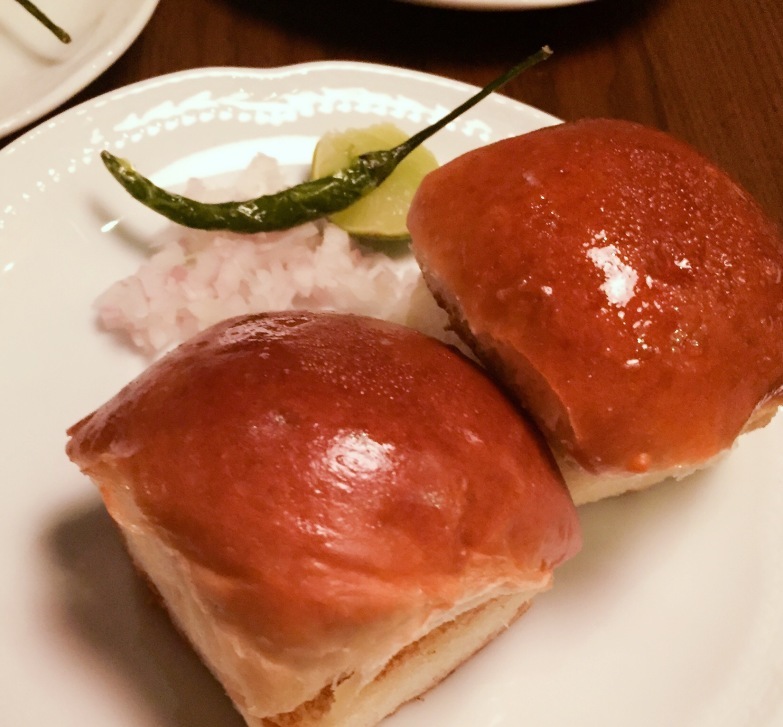 The latest opening from Black Sheep Restaurants is a real passion project by co-founders Syed Asim Hussain and Christopher Mark. The theme at New Punjab Club is post-colonial liberated Punjab, with walnut tables, plush leather booths, engraved stone walls, rattan accents, sturdy diamond tumblers, Damascus steel knives from Lahore, stunning mismatched plates and an eclectic mixture of art that ranges from historic paintings to modern interpretations of Punjabi kushti. With a long-standing crew of dedicated staff, you are greeted by Sandeep from the Indian side of Punjab, Vidur from Delhi, Asim from Lahore on the Pakistan side and their longest-serving employee, Charlie, who proudly states he hails from both sides. They’re all decked out in beautifully tailored colonial-style suits, complete with Mandarin collars and colourful pocket squares, and they have all purposely grown a distinguished curl to their moustaches for a full whimsical effect. 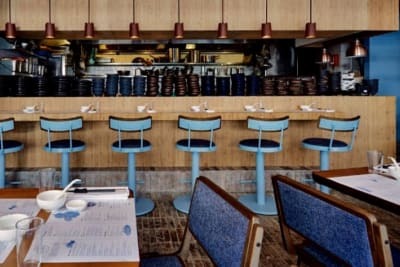 Their faithful commitment to the group and established rapport beam out a familial vibe throughout the eatery, as well as obviously being a source of pride for bringing their home-country cuisine to their new chosen homeland of Hong Kong. Along with the dishes, we were delighted with tales of the origins of the food and where, when and how it should be eaten. The spicy nuts should be placed in the palm and thrown into the mouth followed by a sip of Tanqueray gin with a twist of lemon. Meals should be finished with a simple shot of Johnnie Walker Black over ice and food should be eaten with the hands at every opportunity. 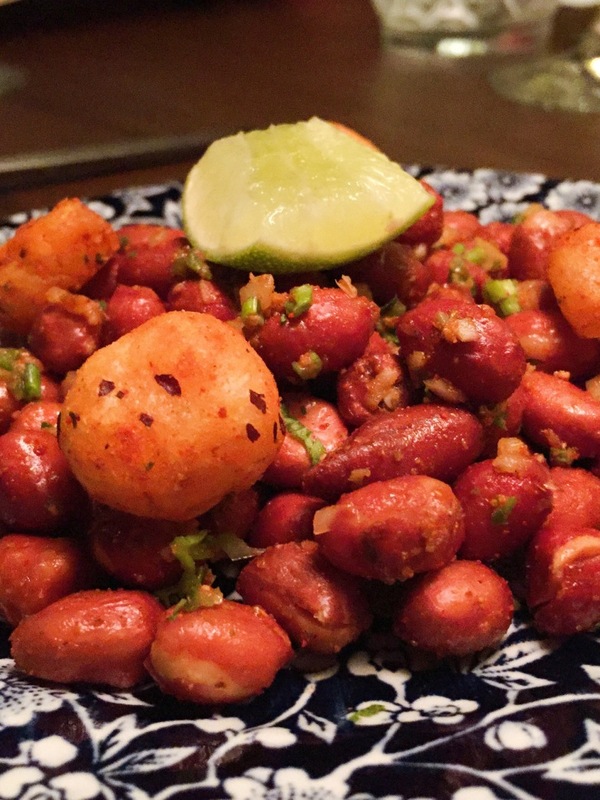 The masaledar phalli spiced peanuts were pleasantly numbing on the lips, with the tingle lingering long after, and made for a deadly combination with a trolley-made G&T complete with cool copper straw. 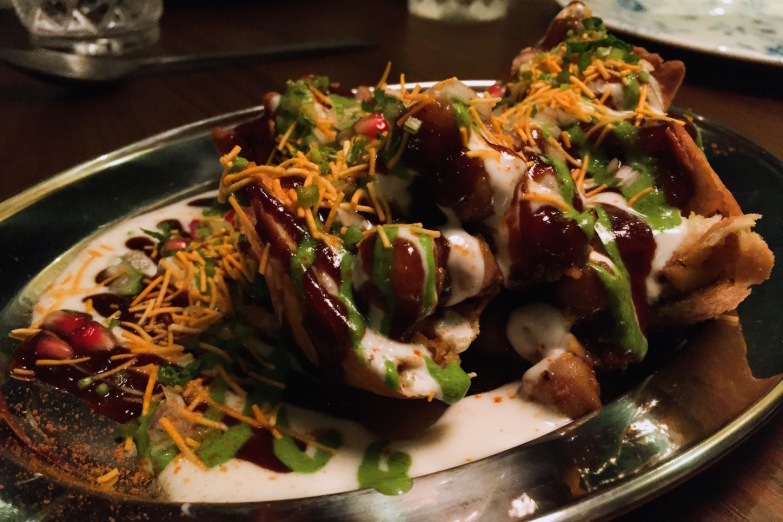 The samosa chaat ($88) will live long in your memory. This street-food dish is extremely popular amongst kids after school back in Punjab, well known for its heady mix of sweeping flavours from sour to spicy to sweet. With the pops of pomegranate and a bold tamarind glaze, there’s a lot going on. 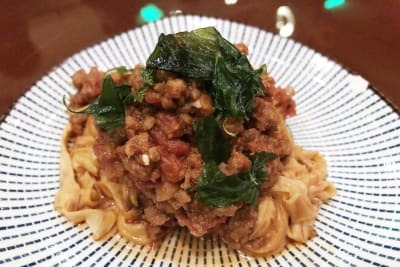 It’s a feast of flavours and textures, with a base of soft, spicy potatoes topped with creamy yoghurt and a crispy noodle top making up this incredibly complex dish. 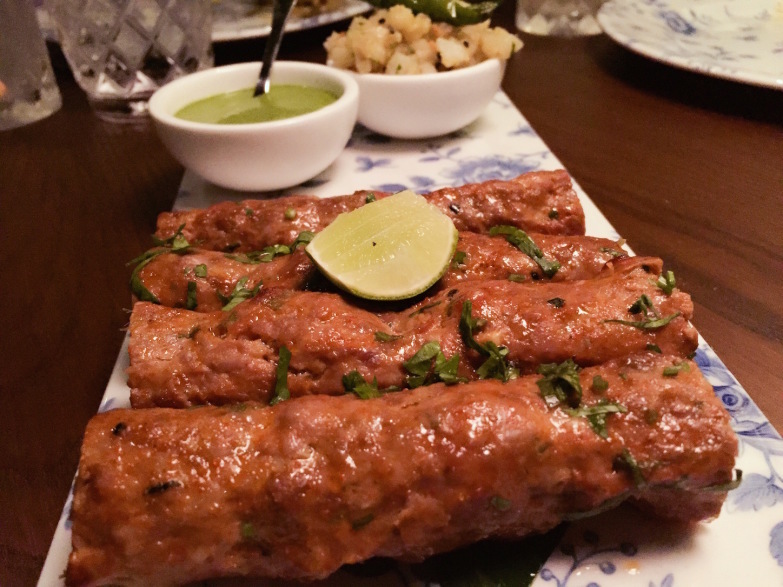 The Lahori seekh ($198) is a Wagyu mince kebab, which they often roll in roti back home, and is served with a green chilli chutney, aloo chaat, lime and coriander. 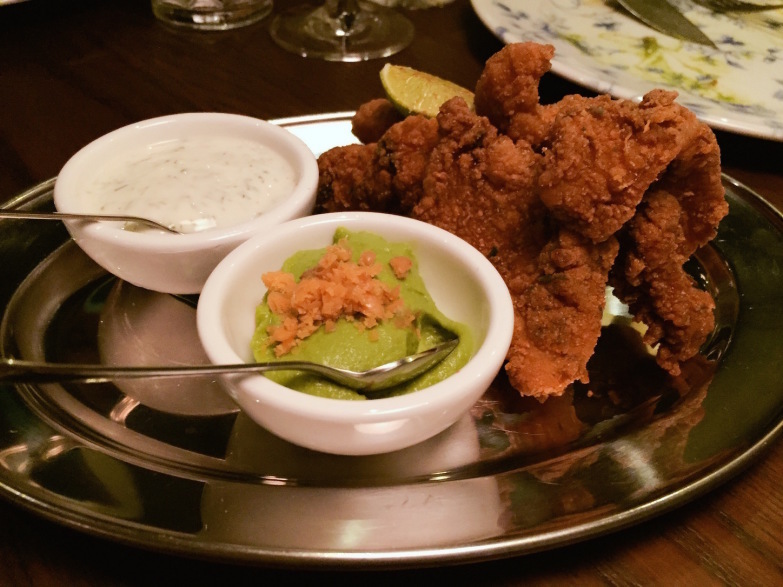 The chickpea-battered river fish is accompanied by a robust mustard, fresh green pea chutney and a milder dill raita. 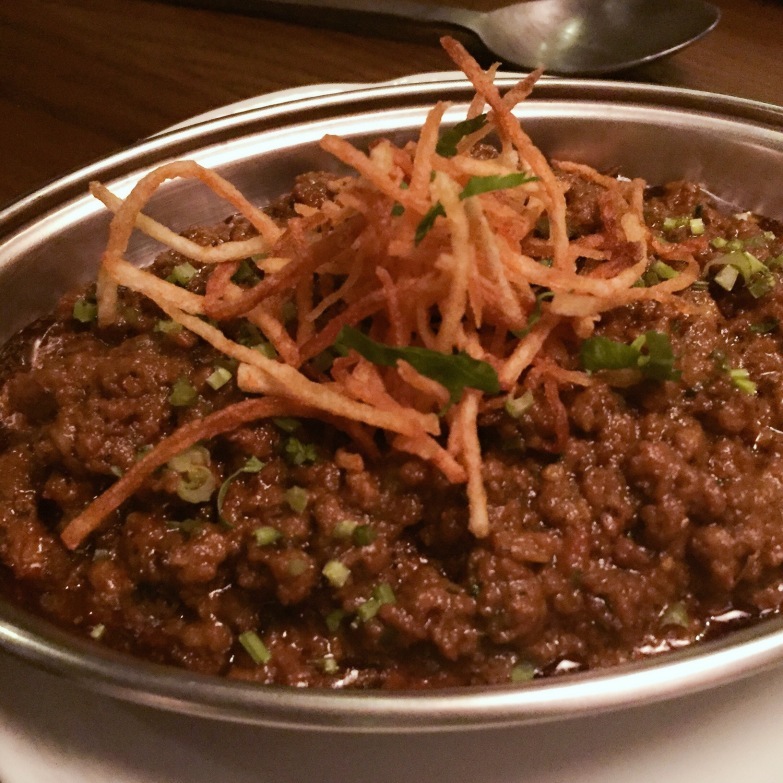 Keema pau ($118) is a beloved dish of milk buns with spiced mutton. They walk you through the technique for a perfect taste, with a spoonful of mutton topped with onion, a squeeze of lime for a citrusy bite to the tender meat and a final scattering of crisp potatoes sticks. 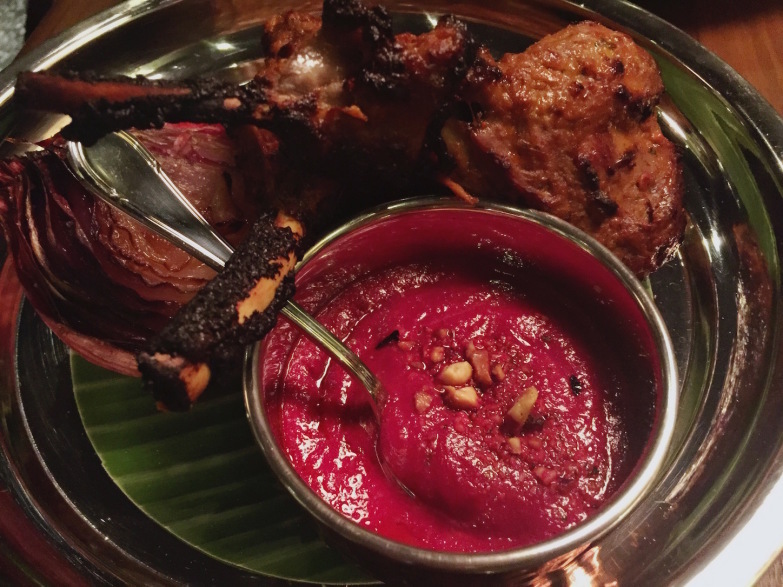 The masalewali chanp ($338) is their tandoor-roasted New Zealand lamb chops served with a vibrant beetroot korma and tandoori onions on the side. 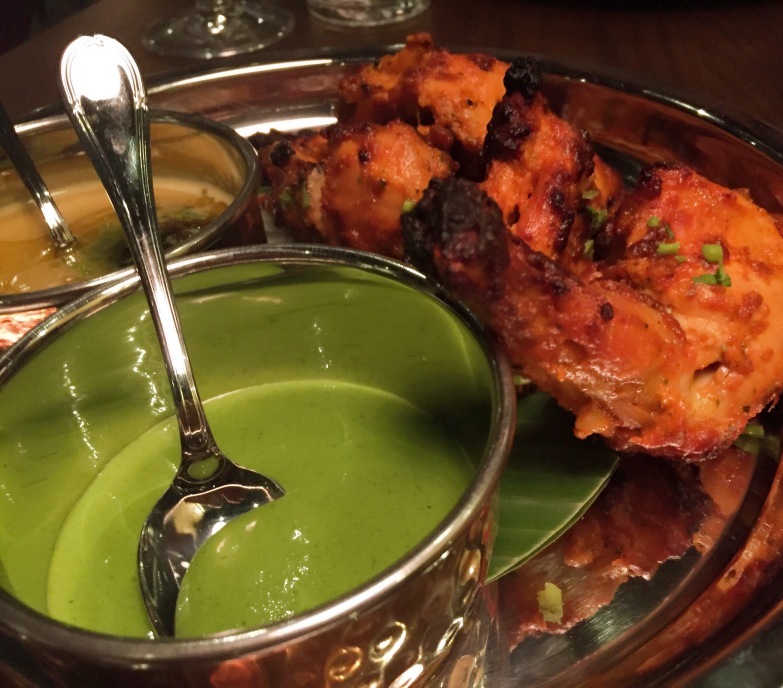 The tandoori chicken is organic and sourced from New Territories and comes accompanied by a spectacular smell, as well as pineapple chutney, a verdant mint chutney and, of course, butter naan that sings to the soul. 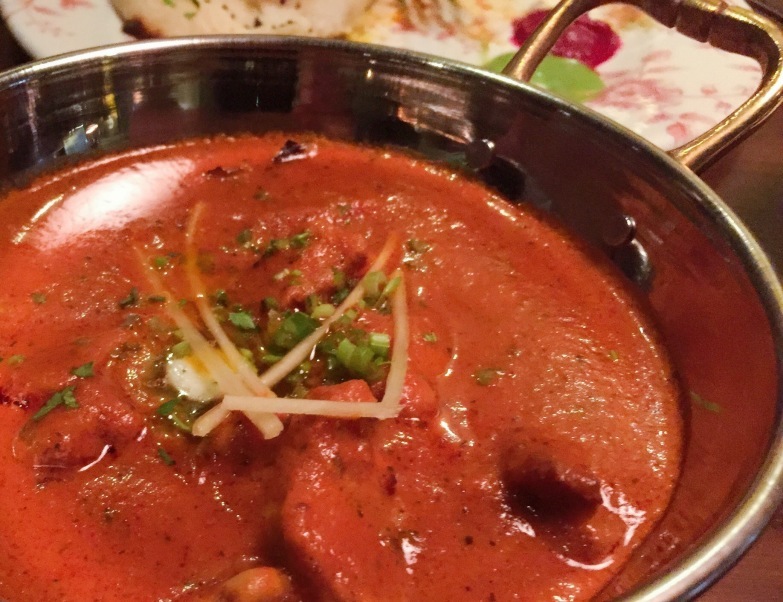 The Mughal Room makhani is smooth and aromatic and a nod to co-founder Asim’s father’s restaurant in Lahore, using his authentic recipe. Another element that has come along from his father’s restaurant are the original tandoori ovens that create the traditional dishes. You won’t find any ras malai here for the final course. 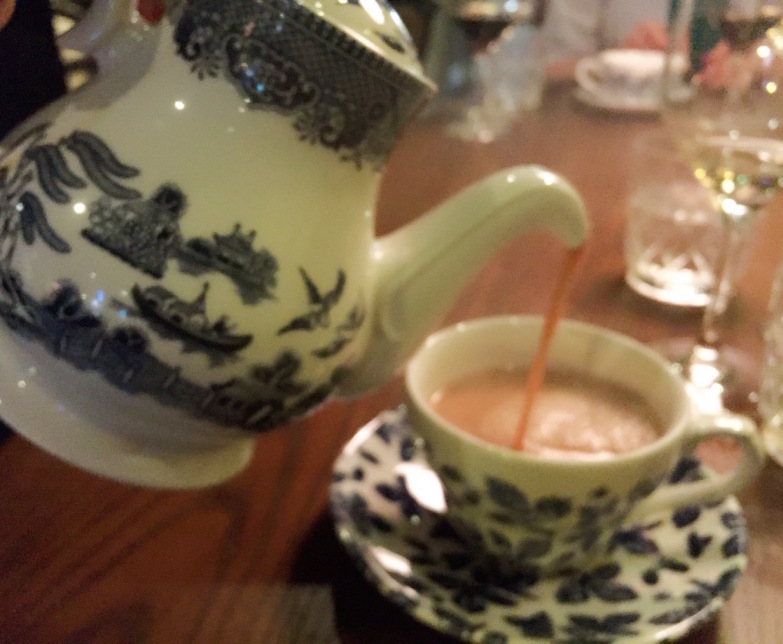 The desserts are designed to be light and more British influenced rather than the traditionally heavy condensed-milk-based sweets we often associate with Indian cuisine. 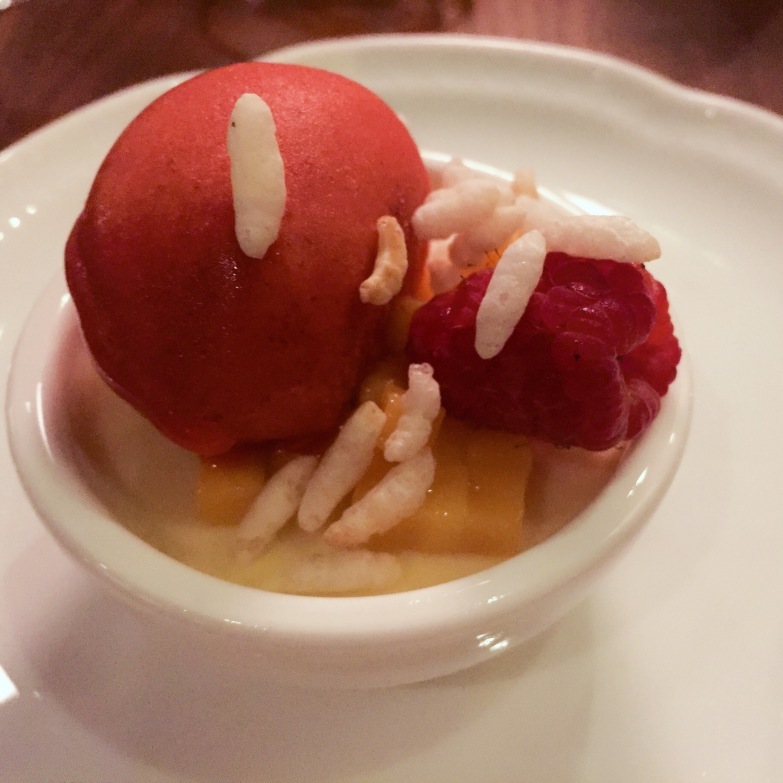 The lemon posset was indeed light, a dish showcasing fresh mango and raspberry with rice puffs for a tart and sweet, creamy and fruity finish. 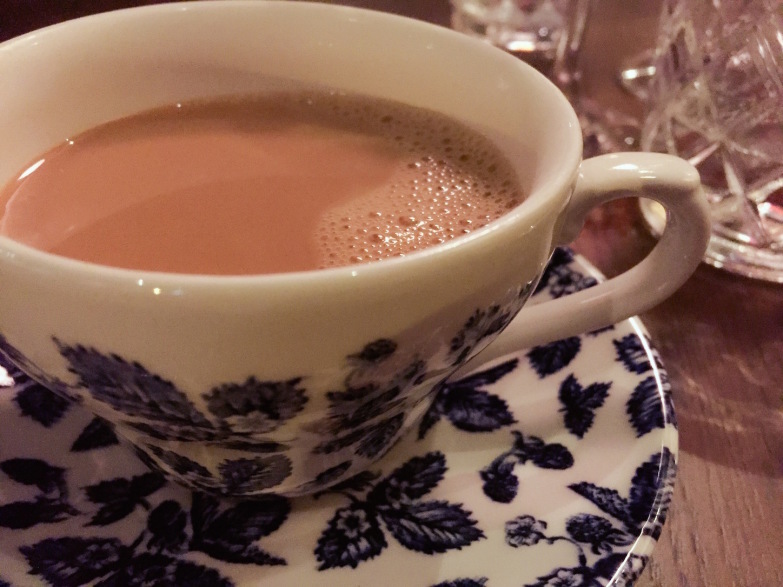 You can’t not have the masala chai – it coats the mouth with rich, milky cardamom- and ginger-spiced tea and feels like dessert in itself. It’s all beautifully done. And it’s cool. 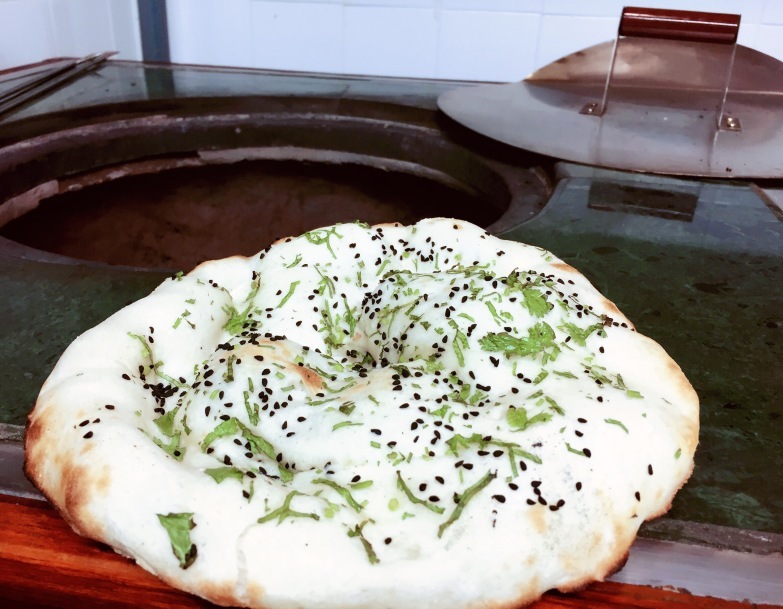 It’s a place you’ll want to hang out and it’s a place to dine on delicious dishes that are an education on the diversity of Northern Indian and Pakistani cuisine. This write-up is based on a complimentary media tasting provided in exchange for an honest review and no monetary compensation.